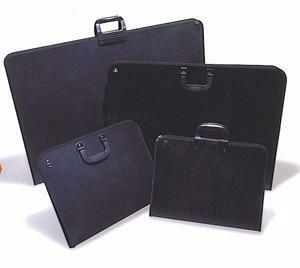 Zip around portfolio bags with D-Rings for securing portfolio sleeves. Reinforced spine with handle and removable adjustable shoulder strap. Made from Denier 600 industrial strength nylon. Generously sized to fit A3, A2 and A1 work. Plastic sleeves available to fit. Made from semi-rigid polypropylene sheeting with zip and carry handle as well as shoulder strap and available in A1, A2 and A3. Very economically priced. 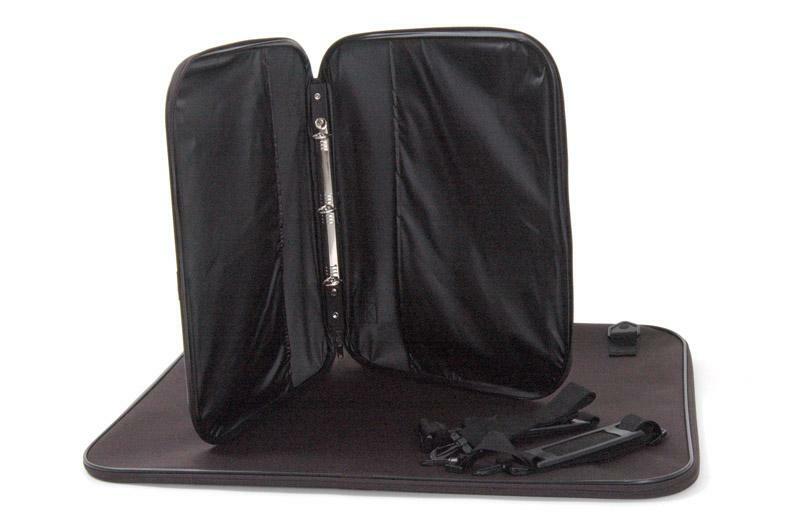 Zip around portfolio bags with single inner pocket, shoulder strap and with a steel support frame to ensure rigidity. 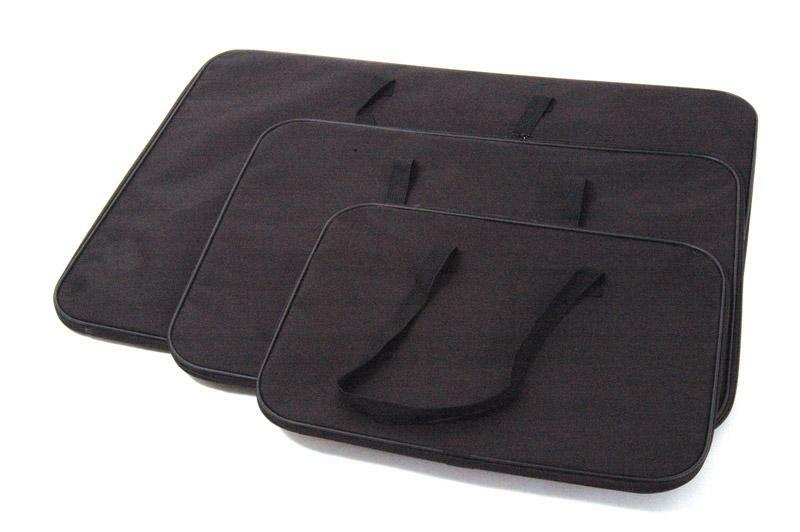 Made from 600D industrial strength nylon making the bags very durable. Generously sized to fit A3, A2 and A1. Our A3 bag in specifically over sized to fit an A3 ARISTO drawing board. Fine Art, Technical Drawing, Office Supplies, Screen printing, Exhibition Systems, Packaging Ideas, Printing Services, Promotion Systems, Gift Vouchers, How to find us.